Marketing strategy is one of my favorite topics, and it’s been a distinguishing mark over the years of Duct Tape Marketing because so many marketers want to talk about tactics. When I talk about marketing strategy, the first thing I talk about is what it is not, before what it is. I think even Google gets confused. If you type, “what is marketing strategy” or “small business marketing strategy” into Google, you’re going to get a bunch of blog posts that list 15 marketing strategies for small businesses. Those 15 marketing strategies will all be nothing but tactics. I believe that you must develop a strategy before you even think about the tactics. If you’ve read anything I’ve written, if you have listened to anything I talk about, then you know that I mention that this is the key element to make marketing effective. You must have an approach that is focused on a very specific type of client, with a very specific need or problem, and a promise to solve that problem in a very specific way. That’s marketing strategy, and that’s the part we have to figure out first before we ever go out there and start listing the things we’re going to do to create awareness and to convert those people that have a need into clients. When I talk about marketing strategy, I break it down into a foundation that has several elements. It’s not just one thing. It’s a handful of things that have to go together to work in concert to make your marketing strategy effective. You have to figure out who your ideal client is and tailor everything you’re doing for that client as though you’re talking to them one to one. You have to have a core message that helps you differentiate and stand out from everybody else who says they do what you do. Some people might call it a brand promise, but it has to be something that gets somebody’s attention. You’ll want to focus on developing a core message. Often when a business talks about their brand they’re talking about logo and identity elements. Identity elements, colors, fonts, a look and feel that people expect, are the things that you do need to actually build. Once you have that core message, once you know who your ideal client is, you want to build supporting identity elements. Content has grown beyond just being a tactic. Content really is air. It’s the thing that powers the entire customer journey. It’s the way for us to actually create the voice of our strategy. Part of your marketing strategy has to be an understanding of how you are going to guide the customer journey. The way people buy today has changed so dramatically that we have to understand that it’s our job not to corral or create demand but to be around and organize the behavior that the buyer actually wants to participate in. Those elements go together to create the foundation of any kind of marketing plan, and that’s what I mean by strategy. All of those elements working effectively, working together. As you can see, I haven’t mentioned anything that would be considered a tactic. I haven’t talked about direct mail or advertising. Those are tactics that we are going to use to orchestrate or implement our strategy. That’s how you have to think about it. Let’s break each of those elements down. Many business owners have been taught to think about this idea of a target market. So often where that target market or that targeting ends is who we think is likely to buy. For a lot of people, that’s people who have money. If I’m a dentist, that’s people who have teeth. I mean, that’s where we stop. What I want to suggest is that if we go much deeper than that, if we decide who has the right problem, meaning the problem we actually are very, very uniquely qualified to solve, who has the money? That’s a great qualifier, right? We don’t want to be working with people that can’t afford what it is that we do. Who’s motivated to fix that problem? Just because somebody has teeth, just because somebody has plumbing in their house or has a kitchen and we’re a kitchen remodeler, just because somebody has trees and we’re a tree service, doesn’t mean they’re motivated to take care of, fix, or upgrade those. You have to understand who’s motivated, who has the problem that you’re suited to solve, and who has the budget. If you’re wanting to understand the characteristics of your ideal client, the ones that you have attracted, that were very profitable, and that you had a great experience with, know that they’re referring you because they had a great experience. Take your client list today and map out your most profitable clients, and you’ll find that there’s probably some business you’re working with that you probably shouldn’t be and that you have some clients that aren’t that profitable, (but hey, you took the work because they said they’d pay you). Typically, those don’t end up being very good deals. If you start looking at the characteristics of your most profitable clients, and then if you can identify a few of those folks who are also referring you, that’s who your ideal client is. The reason I say that is because they’re profitable because they probably had the right problem. They had a problem you could solve and they had a mentality or behavior that allowed you to do it in the most profitable way, and consequently, you like them and they like you. They didn’t beat your people up. They paid you on time. They’re out there telling the world what a great experience they had. You get to choose your clients, but not if you don’t understand who they are. Once you understand who they are, you can start disqualifying people. Once you’ve been in business for a while you can tell pretty quickly and accurately whether or not it is a business that you want to work with or a business that would be a good fit for you. You’ll get better at this, but if you don’t start defining it and outlining it now, you’re going to start taking those clients that aren’t good fits for you. All they’re going to do is drag you down and distract you. In a worst-case scenario, they’re going to become a detractor out there telling people you don’t do a good job, but that’s because you weren’t a good fit. You get to decide, you get to choose your clients, but only if you define who they are. Nobody wants what you sell. They want their problem solved. Keep that in mind. Very few people want the things we sell, the services, and the solutions. They have problems they’re trying to solve and they see you and your products and services as the way to solve those problems to get to where they want to go. You have to understand what problem you are solving. A lot of times it’s not the basic service that you provide. I like to talk about my friends at Jackson Tree all the time. They are a local tree service in the St. Louis area and they feel like their competitive advantage is that they are a locally owned business. They’ve been business for a long time. There are people coming from the outside, big national chains coming into the city, and so they felt like their advantage is that they are that local business. Well, when we looked at all of their client reviews and spoke with some of their clients, we kept hearing over and over again that what their clients loved is that they show up when they say they’re going to and they clean up the job site. I know that sounds kind of simple and basic, but that’s the problem that their clients were having. Nobody else was doing that. If you understand the problems you’re solving, that needs to be your message. That’s what you need to use to make the competition irrelevant or to at least change the context of how your market sees what you do. You need to lead with that core message. Reviews are a great way for you to learn what customers think about you. There is some real gold in the actual words that people are putting into Google reviews if you’re a local business because people are saying what value they get. You can also pick up the phone and call clients (we do it all the time). We call our clients’ clients. Quite often, by asking them questions about the experience they are having or have had, we can learn a lot about what should be that client’s core message or certainly the problem that they’re solving. I already touched briefly on identity elements, but the color, the fonts, the way your office looks, all of those things go into either supporting the brand promise or taking away from it. I’m not saying that you have to spend thousands and thousands of dollars on getting designs to make everything look perfect, but it should support what your message is. It should support who you’re trying to talk to. Hubspot has a great post highlighting some inspiring examples of small business branding and identity elements. Start thinking about content as the voice of strategy, so all the content that you produce, your web pages, blog posts, podcasts, press releases, this is all content. You want to think about the intention that you have for every piece of content, because content today is used to create awareness. That’s sometimes how people find you. It’s certainly used to educate. It’s used to inform somebody how a product or service that they might acquire from you would work. It’s used quite often to nurture people. Content has a nurturing component to it. In many cases, whether it’s an email or an ad or a page on your website, many times you need to produce content for when that person is ready to buy, that shows them how to buy. Once you start producing great, useful content, use it as a referral tool. 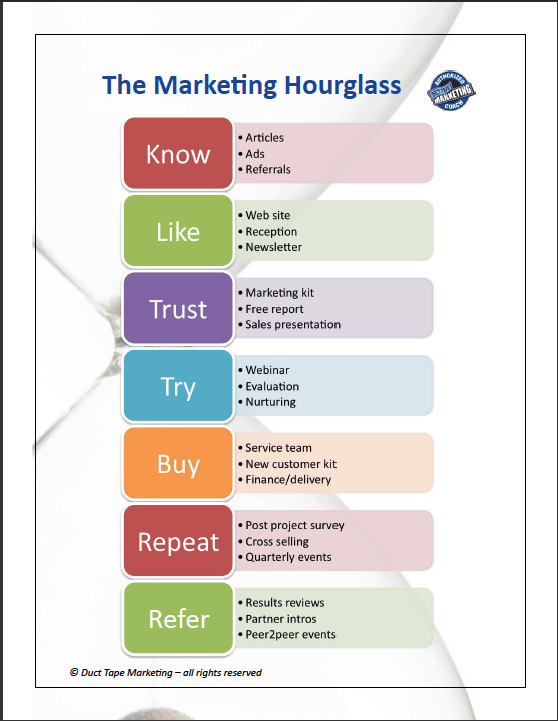 Long ago, I developed the term “The Marketing Hourglass.” which involves taking people through seven stages of the customer journey: Know, like, trust, try, buy, repeat, and refer. The idea behind that is that if somebody doesn’t know who we are, then we want to move them logically through these stages. This develops a level of awareness, but also some level of trust. Over time, we communicate, continue to add value and continue to invite them back for more content or for more opportunities, before we ever really start promoting our products and services. Once somebody has gone through those stages and they’ve educated themselves on what they do, we’ve developed a level of trust based on the way that we have marketed to them or based on the way that we have shared content and added value. Now they want to buy. That’s actually the stage in the customer journey where a lot of businesses drop the ball because a lot of people think marketing ends at somebody saying, “Yes, I want to but” but that is not the case. That’s actually where some of the fun starts because you have an orientation and onboarding process, and you continue to market to them once they’ve purchased so that they might purchase more or again. You have a very intentional process where you can generate referrals. All of these parts are linked to the journey that leads you to build campaigns, processes and touch points as part of your marketing strategy. One of the greatest marketing strategies that any business can really employ is to make sure that they are creating such a great customer experience that people want to refer and talk about their business. The greatest source of lead generation is a happy customer. This needs to be a part of your overall marketing plan. Effective strategy, be it marketing related or otherwise, is what really sets one company apart from another. I’m not really saying that every successful company plans and implements better strategy, in some cases strategy just happens because a market and a product find each other and grow organically. However, small businesses that understand the power of an overarching marketing strategy, filtered and infused in every tactical process, will usually enjoy greater success. The problem with strategy however, is that most people don’t really know what it is or, if they do, hobble its effectiveness by viewing its creation as something of a linear event – hold a planning retreat, decide on everything in a vacuum, report back next year. I don’t think strategy works well like that. 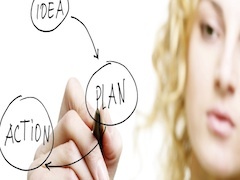 Strategy planning is an essential first step, but at best it’s guesswork. You’re obligated to do it to get the ball rolling, but not as some sort of final destination to act rigidly against. The value of a marketing plan and strategy comes into focus through the process of planning coupled with real world analysis and a willingness to shift your thinking as you go. Strategy is more circular than most people view it. 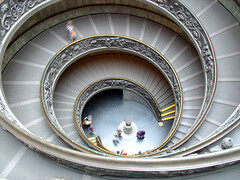 In fact, the upward spiral might actually be the best metaphor. In my experience there are about seven steps in the ongoing planning and execution of a marketing strategy. When effectively viewed as a tool, these steps are never done, they are just waiting around for the next cycle. These cycles happen for one reason primarily – the market tells you the answer. That answer can come in the form of growth, an opportunity to seize, or even an economic downturn. Either way, the circular motion needs to stay in tact. 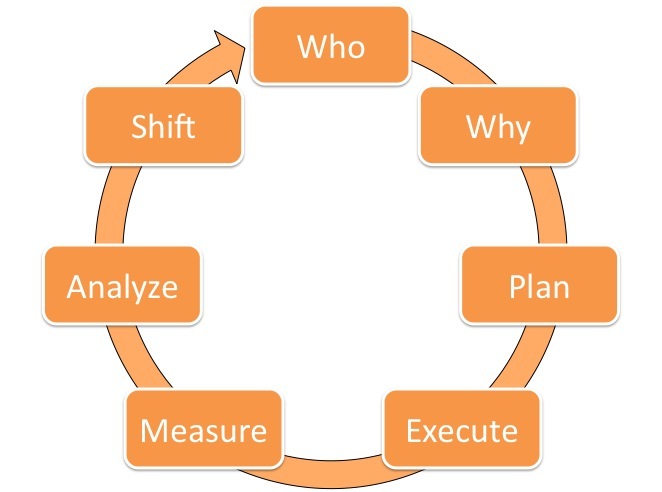 I believe business owners need to continuously monitor these seven elements of the marketing strategy circle. 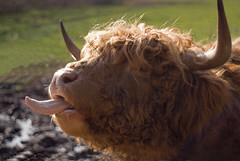 Who – Are you attracting the ideal customer and can you more narrowly define who that is? What – Do you have a clear core point of differentiation? What is it and how are you communicating it? The Plan – What action steps do you need to take today and tomorrow to bring your marketing strategy to life? What goals have your set for success of the strategy? Execute – Are you executing against the plan? Measure – What indicators need to be tracked and captured to allow you to determine your success? Analyze – How will you analyze the data you collect to determine if you are on course, need to make alterations or even move towards a new opportunity? Shift – How will you change course? How will you start the cycle over again? Holding the guess, test, and realign state of mind when it comes to marketing strategy is the one of the surest ways to successfully tap the power of effective growth by way of planning. The idea of differentiation and standing out in whatever industry you are in is such an important concept that I take the opportunity to write about it frequently. The key is to find something that makes it very easy for people to see you’re doing something different from everyone else in your industry. It can take some guts to reach out and be different, but that’s the point. Over the weekend I visited a salon called Chop Tops. The name gave me some hint that this place was little different, but the moment you walk in the place their differentiation strategy hits you full force. Chop Tops is infused with a rockabilly, hot rod, chopper, retro feel from the concert posters on the wall to the Buck Owens on the stereo. This is a men’s salon, but not in a cheesy macho way. They feature hair services, massage and a hot towel razor shaves. The Chop Tops feel won’t be for everyone. If a stylist with pink hair and abundance of tatoos frightens then this isn’t your place, but that’s one of the core elements of a strong marketing strategy – don’t try to be all things to all folks – pick a strong statement and make it. The Chop Tops strategy likely comes from the fact that one of the owners plays in a local rockabilly band and enjoys the culture, but the blending of a proven business (salon and spa) with a somewhat identifiable culture (rockabilly is pretty hot trend) is a solid way to create a differentiation. In this case Chop Top is differentiating their salon from cookie cutter fru, fru salons by creating a totally different feel – the services they provide may be very much like other salons, but their strategy will certainly allow them to attract a specific target audience. So, what’s your differentiation strategy? How can you break through the we have better products and provide better service trap and truly put something out there that makes people talk? Many marketers have been taught the concept of the marketing funnel. The idea being that you bring leads into the top of the large opening in a funnel and push the ones that become customers through the small end. The problem I’ve always had with that is all the focus is on the chase. I happen to think that real payoff in marketing comes from expanding and focusing your thinking on how to turn a lead into an advocate for your business. 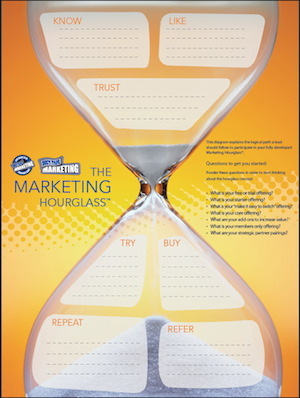 Long ago I started using the concept of The Marketing Hourglasssm. The top half indeed resembles the funnel concept, but the expanding bottom half, to my way of thinking, adds the necessary focus on the total customer experience that ultimately leads to referrals and marketing momentum. I use the diagram below in workshops to explain the logical path a lead should follow to participate in your fully developed Marketing Hourglass. This concept is one of the key elements of the overall Duct Tape Marketing system, but I could conduct entire workshops around this one slide as it seems to be the easiest way to explain the marketing process in simple and practical terms. At a recent workshop an attendee came up to me and said about this diagram, “I’m an engineer by trade and this marketing stuff never made sense to me, now it finally does.” – I guess that’s the ultimate test. When you overlay my definition of marketing – “getting someone who has a need to know, like, and trust you” with the intentional act of turning know, like and trust into try, buy, repeat, and refer you get the entire logical path for moving someone from initial awareness to advocate. The key is to systematically develop touchpoints, processes and product/service offerings for each of the 7 phases of the hourglass. Far too many businesses attempt to go from Know to Buy and wonder why it’s so hard. By creating ways to gently move someone to trust, and perhaps even creating low cost offerings as trials, the ultimate conversion to buy gets so much easier. What is your free or trial offering? What is your starter offering? What is your “make it easy to switch” offering? What is your core offering? What are your add-ons to increase value? What is your members only offering? What are your strategic partner pairings? 15	Is Personality a Strategy? When I originally started this post the title was going to be – Is Culture a Strategy, but I amended it to personality because, while what I am talking about here is commonly referred to as company culture, I think the word personality is more fitting for the typical small business. Most small businesses I encounter, have a culture that is representative of the thoughts, values, leanings and character of the owner of the business – for good or for bad. Now, can that personality or company culture be molded, grown, morphed and adapted by the customers, practices, and people in the organization? – you bet. And I’d like to suggest that a great deal of an organization’s ultimate success or failure from a marketing standpoint has to do with developing a culture or personality that people come to know, like and trust. Let’s face it there are characteristic traits that make some people more knowable, likeable, and trustable than others. Unfortunately, you can’t fake these, but you can adopt habits that create a culture that brings out the best in your company’s personality. 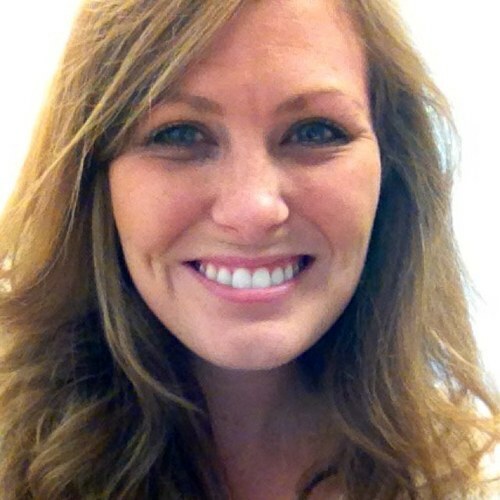 26	What's So Scary About Marketing Strategy?